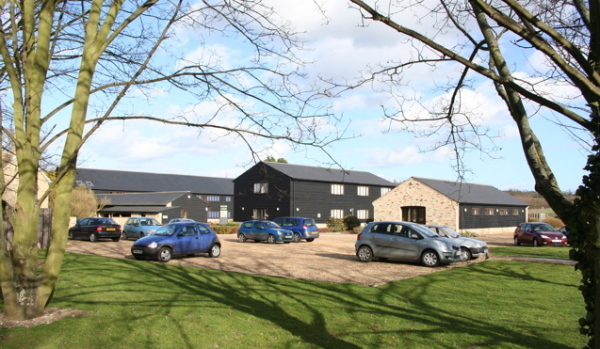 Property address and description: Unit A, Magog Court, Shelford, Cambridge, CB22 3AD. Magog Court comprises a derelict farmyard and timber and brick barn buildings converted into five office suites in a courtyard setting. It is set within two acres of landscaped gardens. The development offers parking for 44 cars – plus there is scope for overflow parking. 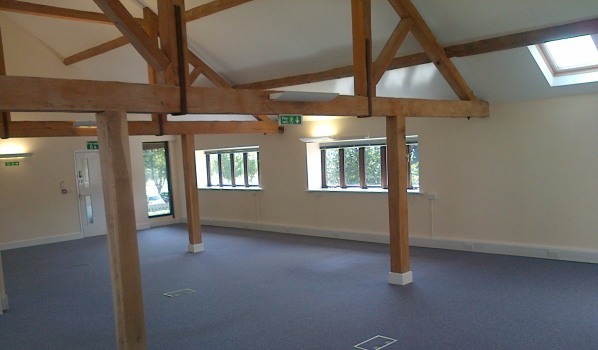 Unit A, now available, is a first floor office totalling 2,200 sq ft. Agent handling the sale: Goodman Property, 56 The Lane, Hauxton, Cambridge, CB22 5HP. Who is the vendor? Beechwood Estates, a Cambridge-based development and investment company specialising in residential and commercial projects within Cambridgeshire and further afield. Where exactly is it? Magog Court is situated in the greenbelt, south east of Cambridge, close to the M11. Shelford, one of Cambridgeshire's larger villages, is just one mile away. What lease lengths are on offer? A minimum of three years is on offer for a new lease. How much of the building is occupied? Unit A is the only space currently available. Other businesses at Magog Court include the NHS, Cambridge Physiotherapy Clinic, and the National Cancer Registration Service. What other businesses are located nearby? Cambridge is renowned as a high tech hub. Its reputation and skills base has attracted major high tech companies to the surrounding area. Where is there to go for a sandwich at lunchtime? There is a sandwich van that delivers to the site but there is also Gog Magog Hills Farm Shop and Shelford Delicatessen nearby. A café is opening soon at Copley Hill Business Park too. Local shops in Shelford include a baker and butcher. What is the traffic and transport like in the area? Transport links are good with easy access into the centre of Cambridge by car or bus, thanks to the park-and-ride at Babraham. For train stations, Shelford and Cambridge are the closest. Magog Court sits three miles off the M11, and the A11 dual carriageway is four miles away. The development is a five minute drive from the centre of Cambridge. Stansted Airport is also easily accessible, 25 miles away. What is the forecast for the local commercial property market in the next five years? Is my rent likely to rise? Rents may continue to rise as there is a shortage of property in the area coming onto the market. What is the history of area and property? Magog Court was converted into an office scheme roughly nine years ago. What does it feature and what is its biggest selling point? The scheme offers vaulted ceilings and retains a rural feel while remaining easily accessible from Cambridge. 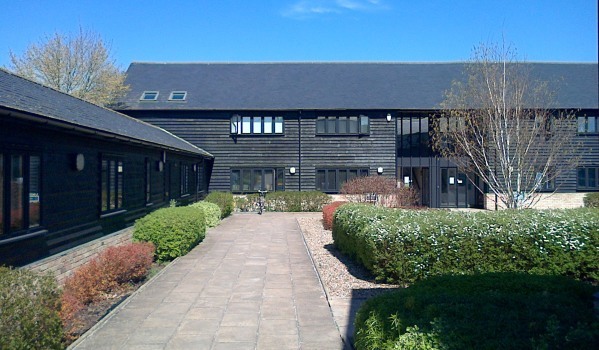 It offers all the mod cons you’d expect of a modern office development, including broadband access, air conditioning, disabled facilities and a fitted kitchen per suite. Will the running costs leave a dent in my pocket? No, they will not when compared with central Cambridge office rents. They stand at £32 to £35 per sq ft on Station Road compared with £19.50 per sq ft at Magog Court. You also won’t waste fuel sitting in traffic as you try to get out of the centre of Cambridge in rush hour.